Here at Oracle Dental, we see teeth every day so we thought we would share some really interesting facts about our favourite past time, teeth! Tooth decay is the 2nd most common disease after the cold. There are over 100 million bacteria in just one drop of saliva. Kiss anyone? There are more than 300 types of bacteria that make up dental plaque. Teeth are the only part of the body that cannot heal themselves. 35% of people never develop 1 or more of their wisdom teeth. Lucky ducks! If you don’t floss you will miss cleaning 35% of your tooth surfaces. 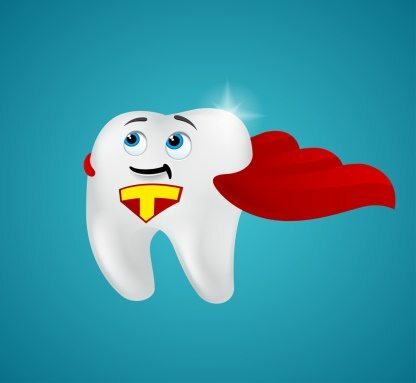 Visiting the dentist annually reduces the risk of tooth decay by 60%. Sports related injuries account for approximately 5 million missing teeth. Have you got a mouthguard? A tooth that gets knocked out starts to die within 15 minutes. Hold it in your mouth to keep it from drying out, it will survive longer. See a dentist within an hour. As per the University of Florida study, gum & heart diseases are caused by the same bacteria. Healthy teeth, happy heart. People who tend to drink 3 or more glasses of soft drink daily have 62% more tooth decay, fillings & tooth loss than others. In the 1800’s blacksmiths & barbers performed the majority of dental work. Glad we are in the twentieth century! 50% of people consider the smile the first facial feature they notice. Brushing straight after you eat or drink can wear away tooth enamel. Wait for half an hour. Pretty cool, hey. Remember to brush your teeth twice a day, floss regularly & visit us twice a year to keep your pearly whites, gums & general health in tip top condition.